And of course, the same goes for USA. I could fill books with this very important stuff. I mean, it’s only about if we are going to survive as a civilized society or not. Nobody of our “dear” international politicians and “leaders” seems to care very much. But I am going to try to be “brief”. I also recommend that you as a background read my posts on the war in Georgia (8 posts August-September 2008 Russia’s War in Georgia and the background chronology to it) and my series on Syria (19 posts March – July 2012 The first post is here: Syria and Vladimir Putin: The Butcher of Homs – Part 1 ). You find them under categories Georgia and Syria. So back to the whole “system” of rules and law on which the international “peace and order” has been built on since 1945. In reality it goes back even further to the Peace of Westphalia 1648. Westphalian sovereignty is the principle of international law that each nation-state has sovereignty over its territory and domestic affairs, to the exclusion of all external powers, on the principle of non-interference in another country’s domestic affairs, and that each state (no matter how large or small) is equal in international law. And ALL these international organizations and laws (UN, EU etc.,) that were supposed to guarantee peace and stability and economic progress, is in complete shambles. Why? Because all the “big ones” in Europe and the USA have done absolutely nothing to defend it besides some rhetoric and symbolic sanctions. That costs nothing for them and has very little effect. By doing nothing, they have opened up the Pandora’s Box and a free for all to “intervene” anywhere in the world where there are at least one minority person. And that applies to EVER country and territory in the world. If not you just surreptitiously transport one there, (preferably one from your own intelligence agency or military), let him became “spokesperson” for the group. And voila, you have a just cause to “intervene with brutal force and take whatever you want. In Russia ALONE there are over 185 officially recognized ethnic groups, nearly 20% of the Russian population. Now you take this new world model and apply it to every country in the world. And what do you get? Total chaos and slaughter – “Survival of the fittest” military style. On an equally important side not regarding The Budapest Memorandum on Security Assurances signed on December 5 1994. After the breakup of the Soviet Union, newly independent Ukraine suddenly found itself in possession of the world’s third-largest nuclear arsenal. (About 1,900 strategic nuclear warheads designed to strike the U.S. and 2,500 shorter-range nuclear weapons). Though the new government originally planned to keep the Soviet nuclear weapons it had inherited on its territory, Ukraine eventually agreed to transfer the weapons to Russia for reprocessing. USA played a big part behind the scene to make them relinquish their nuclear weapons. Under the memorandum, Ukraine promised to remove all Soviet-era nuclear weapons from its territory, send them to disarmament facilities in Russia, and sign the Nuclear Nonproliferation Treaty. Ukraine kept these promises. In return, Russia and the Western signatory countries ,(Ukrainian President Leonid Kuchma, along with Bill Clinton, Boris Yeltsin, and John Major), essentially consecrated the sovereignty and territorial integrity of Ukraine as an independent state. They did so by applying the principles of territorial integrity and nonintervention in 1975 Helsinki Final Act — a Cold War-era treaty signed by 35 states including the Soviet Union — to an independent post-Soviet Ukraine. In the ”Budapest Memorandum,” Russia, the United Kingdom, and the United States promised that none of them would ever threaten or use force against the territorial integrity or political independence of Ukraine. They also pledged that none of them would ever use economic coercion to subordinate Ukraine to their own interest. They specifically pledged they would refrain from making each other’s territory the object of military occupation or engage in other uses of force in violation of international law. France and China also provided Ukraine with assurances similar to the Budapest Memorandum, but with some significant differences. 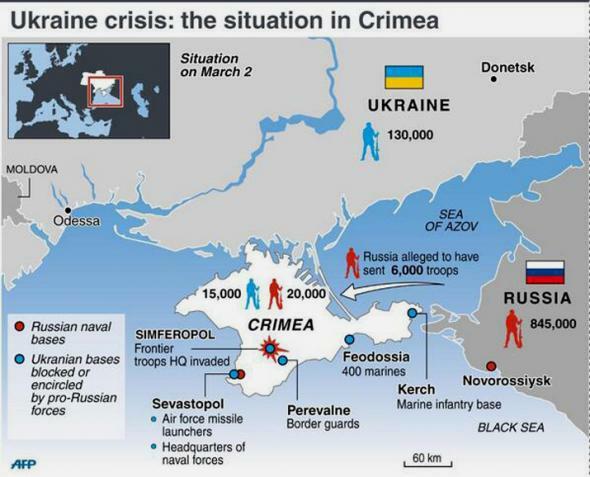 After the Russian invasion and annexation of Crimea in February 2014, these legal “guaranties” proved to be completely worthless. Zip, Nada, Niente. The message to the world is LOUD and CLEAR: Whatever you do NEVER, EVER give up your nuclear weapons. By doing nothing the signatory parties in an instant made a MOCKERY of the last 60 years effort to prevent the spread of nuclear weapons and weapons technology. And the treaty of nuclear Non-Proliferation of Nuclear Weapons (NPT) from 1970. It also sent out another equally LOUD and CLEAR message to the world: To guarantee your survival GET NUCLEAR WEAPONS! The latest round (the so called Iran and the P5+1) started in February 2014 with a very strange setup pushed by the Obama administration. First you do a lot of unilateral concessions and then you start negotiations. USA gave back frozen money ($4.2 billion + $2.8 billion), eased sanctions ($7 billion + $1.5 billion), ignored the intercontinental Ballistic missile program, that every UN Security Council Resolution has been broken, every broken promise to IAEA, denial of inspections, the vastly expanded enrichment program, the big stockpile of enriched uranium etc. etc. And to REALY top it off: The Chief US nuclear negotiator with Iran is Wendy Sherman. She is Under Secretary of State for Political Affairs, the fourth-ranking official in the U.S. Department of State. The SAME WOMEN how was in charge of US negotiations with North Korea to stop them from getting nuclear weapons. Yeap, we ALL KNOW how that went. At the present moment the Obama administration have given the Iranians a lite over 80% of what they want without getting anything in return. When the time comes when Iran “officially” goes nuclear it will have an instant and immediate effect – the rest of the Middle East will ALSO go OFFICIALY nuclear. Doesn’t that sounds like a really lovely and peaceful world wouldn’t you say? 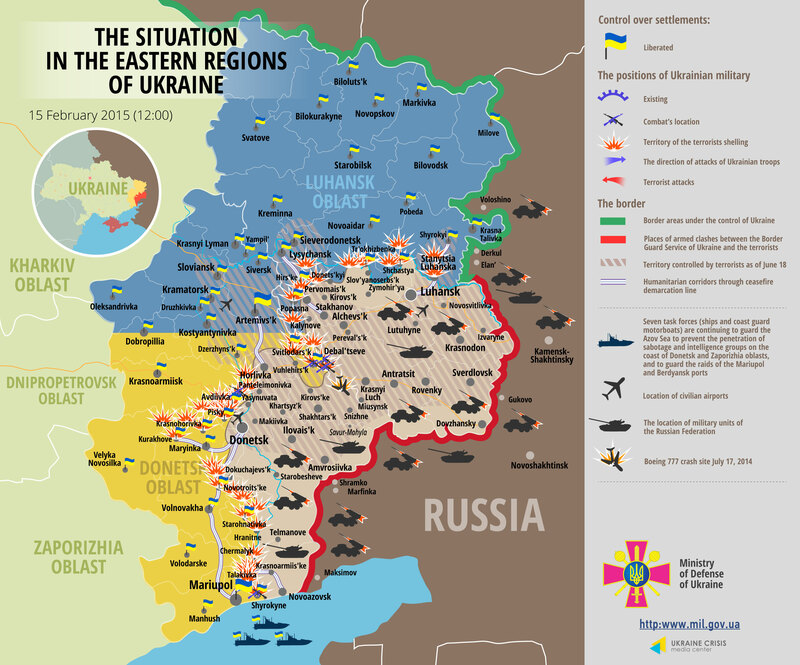 Yesterday (February 14) the day before the “ceasefire”, there was about 170 attacks on Ukrainian positions. Just one example (and remember this is ALL happening in the “peaceful” Europe): In the late afternoon yesterday there was a full-scale engagement of tank and mechanized units of Ukrainian troops meeting the Russian armed forces on a stretch of Nyzhnje Lozove – the northern suburbs of Novohryhorivka. 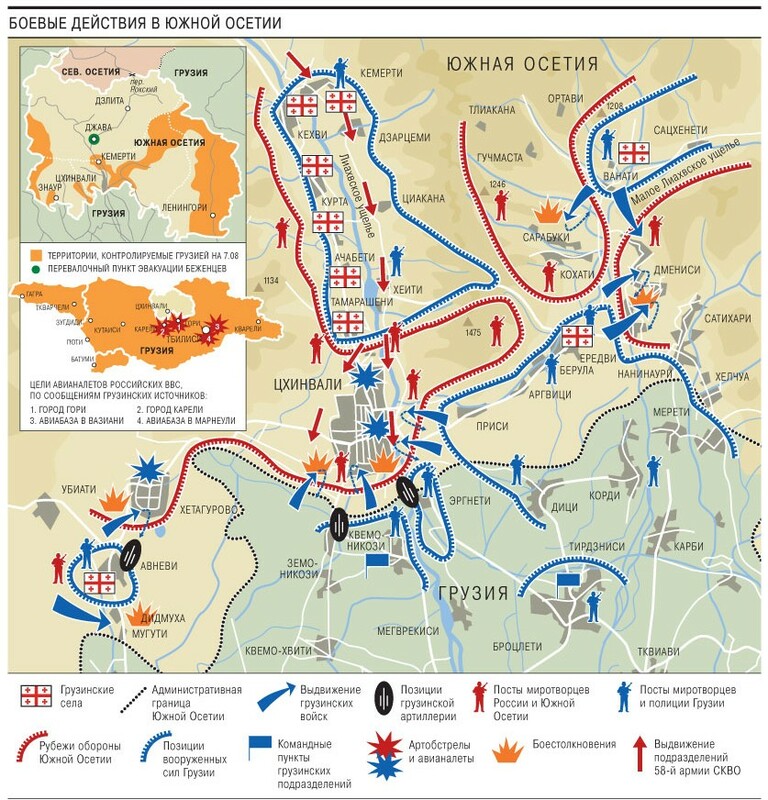 The battle did not bring a convincing victory to either side, but the Russians stopped trying to assault Lohvynove, leaving this settlement as “neutral” territory. 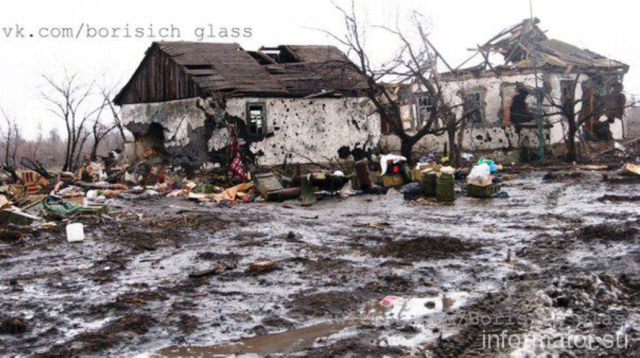 Today (February 15), so far, about 10 attacks around Debaltseve and Luhansk. But a lot of active regrouping and reinforcements is going on the Russian side. A few examples: Russian troops transferred a fresh tactical group (up to 20 tanks, 10 ACVs, and 200 personnel) to the vicinity of Lohvynove. 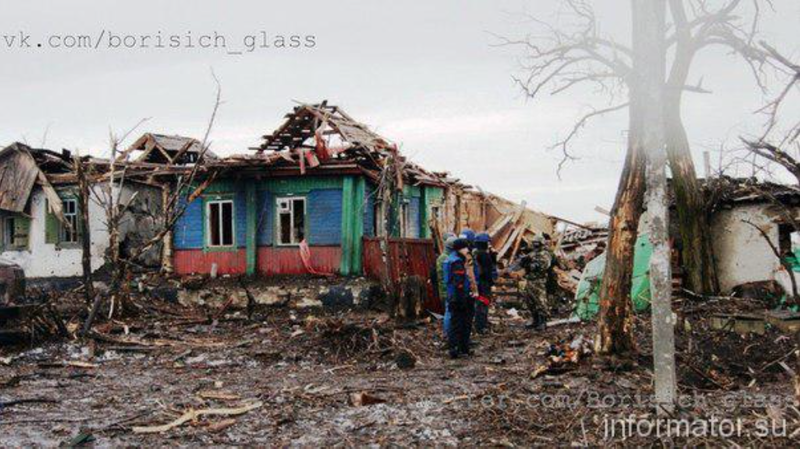 The Russians continued transferring reinforcements to the Shyrokyne village area, trying to “isolate” the offensive by Ukrainian units along the stretch of Shyrokyne – Sakhanka. The transfer of an infantry formation from the vicinity of Bezimenne has been observed ­– over 100 people, 5 armored vehicles and up to 20 motor vehicles. Another convoy (about 5 transport units) with wounded soldiers (about 200 people, the majority are Russian mercenaries and soldiers) has arrived to the settlement of Krasnyi Luch. 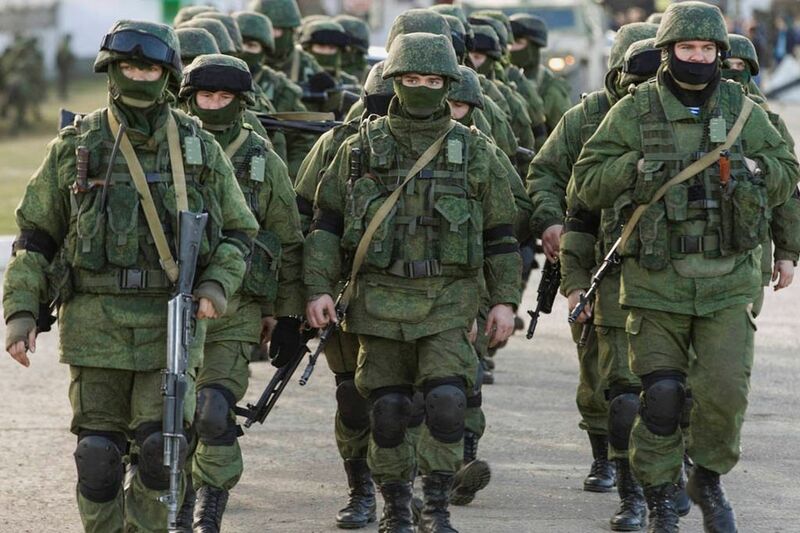 The majority of mercenaries are the recruits of Russian intelligence services –Russian citizens who had no previous experience in the military. 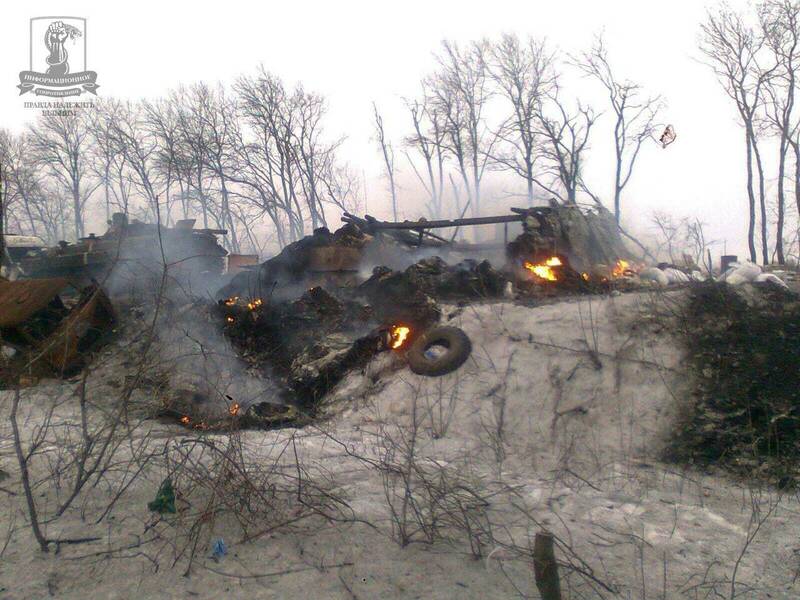 6 – MLRS fire strikes (Debaltseve, Chornukhyne, Sanzharivka). In addition, the Russian’s has carried out four attempts at an offensive during that time in the direction of Debaltseve, attacking the positions of Ukrainian troops near the settlement of Chornukhyne. In addition, 2 fire strikes at civilian objects by ‘DNR’ insurgents and Russian mercenaries were recorded in Donetsk (8:25 am and 3:10 pm EEST – mortar attacks on city blocks). 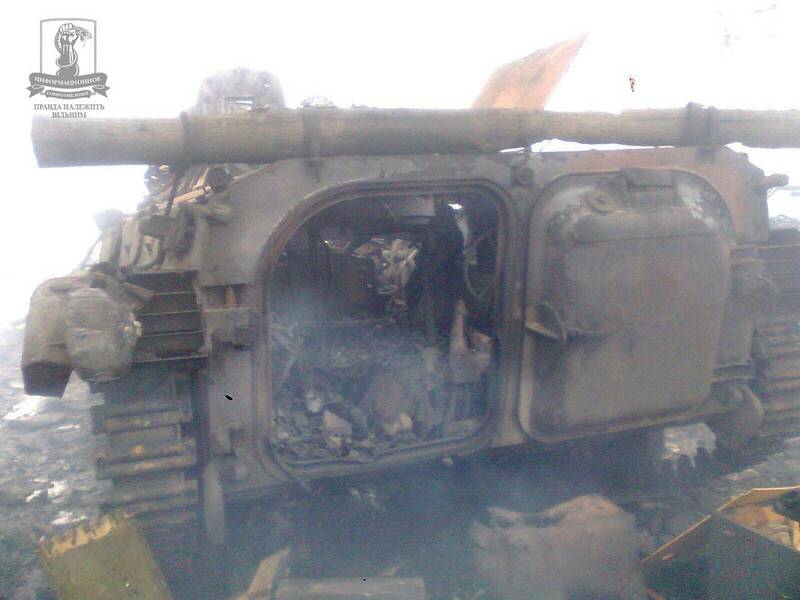 Also, ‘DNR’ mercenaries attacked civilian targets in Popasna at 12:15 am EEST from MLRS. In all three instances, the fire strikes took place in the areas where there are no [firing] positions of Ukrainian troops. 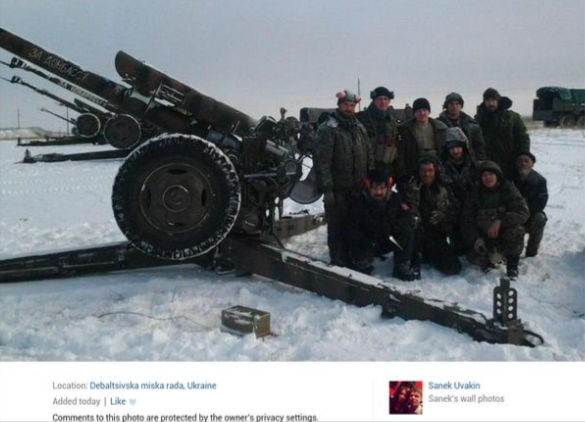 Yeap, the same old same old “ceasefire”. 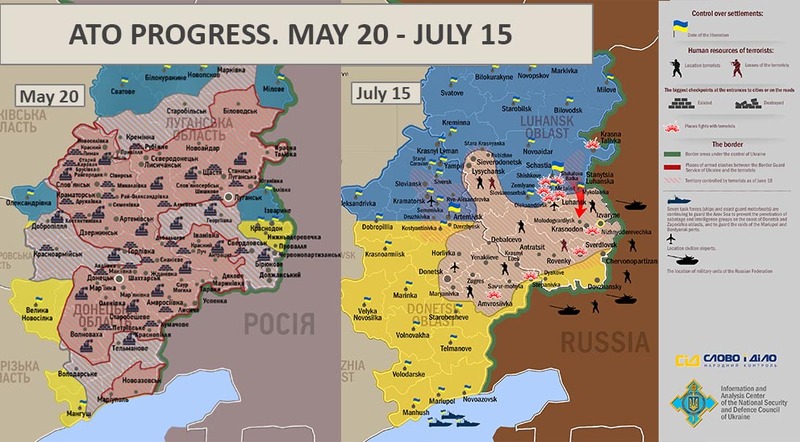 First the one on September 5 2014 and now the Minsk 2 from February 11. 42 attacks in three hours just in the Debaltseve area. That’s international diplomacy and peacekeeping for you. Angela Merkel and François Hollande can be REALLY PROUD of their “ACIVMENT”. This is just a very small sample of what has been going on day in and day out for the last 9 months. Here in Europe. The continent of “peace”. And most of the western so called “leaders” again and again throughout history with disturbing and catastrophic regularity pretend that nothing is going on. Nothing to see, nothing to do, move on. Because if you pretend hard enough that the really bad things that are happening here and now, is not happening; then you can pretend that everything is “OK”. And then you don’t need to do anything that “disturbs the peace” and the mind of your population with unpopular and hard decisions. At least long enough so someone else has to take care of the mess. The problem with that of course, as history has proven so many times, is that the longer you wait to deal with a serious problem, the harder and costlier it is going to be to “solve it”. And if you wait long enough it becomes “unsolvable”. Syria is an excellent case in point. That is a formula that here in Europe has led to two world wars, the cold war, internal civil wars, total political oppression, censorship, massive and total surveillance of the population, concentration and GULAG camps, slave labor, organized and state supported mass killings, ethnic cleansing on massive scale, massive deportations, euthanasia programs, the master race, blood purity, the New Soviet man, enemies of the people etc. And we “exported” these ideologies to the rest of the world. All this in just the last hundred years. Yeap, we have a lot of things in Europe to be “proud of”. “In the 1930s, Hitler pursued a simple policy: he simply said one thing and did another. Putin has innovated: he not only lies but uses forces to do his bidding for which no one holds him responsible and thus has the chance to be accepted by some in the West as a “responsible” statesman while continuing his aggression in Ukraine. Thus, the most important news from Minsk is not that there has been an agreement between the Kremlin leader, the German chancellor, the French president and the Ukrainian president on most of the aspects of a ceasefire but rather that the leaders of the undeclared “peoples republics” are refusing to go along. Citing “an informed source,” TASS is reporting today that the leaders of the Donetsk and Lugansk Peoples Republics have refused to sign the document “agreed upon by ‘the Normandy quartet,’” thus in one sentence presenting Putin in a way the West will like and showing that what he has signed will have no impact on what he continues to do. That is just one of the important conclusions about the Minsk meeting suggested by Andrey Piontkovsky who points out in a commentary today that “the very fact of its having taken place is much more important than the little pieces of paper which [these leaders] will sign or not sign”. The Minsk meeting which follows on the Moscow meeting between Putin, on the one hand, and Angela Merkel and Francois Hollande, on the other, reflects a significant change in the way the West is dealing with Putin over all issues and is showing up the Kremlin leader’s position at home, the thing he cares most about. At the time of the Brisbane summit, Western leaders were demonstratively isolating someone who was invading Ukraine and otherwise violating the international rules of the game. According to Piontkovsky, that threatened Putin’s standing with precisely those on whom his survival depends. After Brisbane, it began to look as if he no longer could provide such guarantees, and they began to question their support. But Putin responded with a clever campaign in which he caused the leaders of Europe to change their approach and thus restore his unchallenged authority at home with precisely those on whom his dictatorship depends. Putin’s response took the form of suggesting that Moscow was prepared to use nuclear weapons if the West armed Ukraine, a campaign that has its roots in the words of Dmitry Trenin, the former GRU officer who heads the Moscow Carnegie Center, first in 2009 and most recently in an interview to a British newspaper. 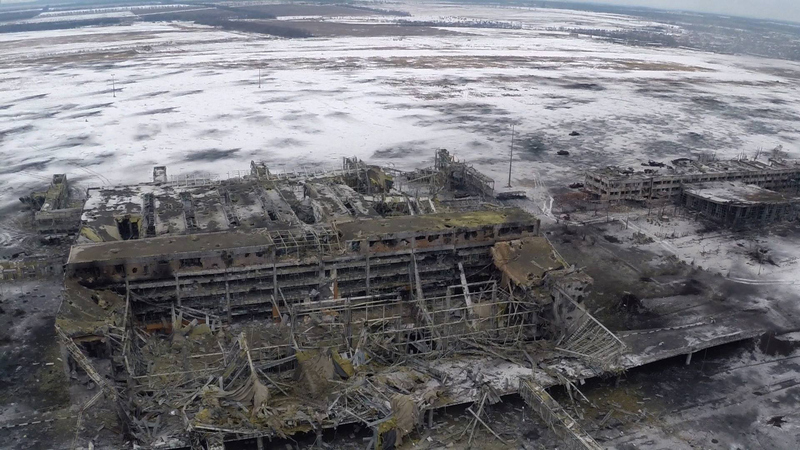 That sparked fear in Europe that Putin might in fact use nuclear weapons, split Europe from the United States with regard to Ukraine, and led both Merkel and Hollande to “walkd to Canossa” first in Moscow and now in Minsk, a dramatic shift that convinced those around Putin that the Europeans are so afraid of Russia that they won’t do anything to oppose its actions. This nuclear “blackmail” has been “at many levels, taken many forms and been creative,” Piontkovsky says. It has made use of the North Koreans, Rogozin, Ivanov, Shoygu and others. And most recently, it has taken the form of a Russian TV spot showing Russian tanks “visiting” the capitals of Europe on Victory Day. “Vytautas Landsbergis, Lithuania’s first post-Soviet leader and honorary chairman of the conservative Homeland Union, says that the Minks agreement for ceasefire between Kiev’s forces and Moscow-supported separatist fighters in eastern Ukraine, which was signed on Thursday, is worse than the Munich agreement of 1938. The conference in 1938 has come to symbolize Western impotence after Great Britain and France tried to appease Adolf Hitler by giving him Sudetenland, which led to occupation of Czechoslovakia and, eventually, World War Two. ”In that Munich conference, there probably weren’t any Sudeten SS men speaking in the name of the nation and demanding to carve up Czecholsovakia. At least they were not sitting at the table. And these [Ukraine’s separatist fighters] did,” Landsbergis said on Thursday, after presenting his new book in the Ministry of Foreign Affairs of Lithuania. The politician noted that the Minsk talks on the future of Ukraine gave word not just to German Chancellor Angela Merkel, French President François Hollande, Ukraine’s Petro Poroshenko and Russia’s Vladimir Putin, but also to self-appointed leaders of the separatist-held regions, Igor Plotnitsky and Alexander Zakharchenko. 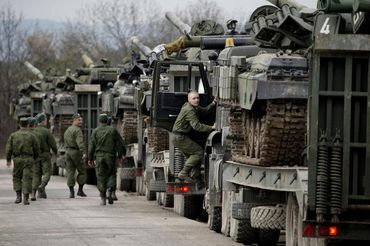 The Minsk agreement demands the withdrawal of heavy military equipment behind a 50-kilometre demilitarized zone. Kiev has pledged to implement a constitutional reform, delegate self-government powers to the separatist regions and resume payments. ”As you read through it [the agreement], you are aghast – why do they have to give up everything? Everything. Give territory, recognize these bandits as leaders who get invited to the table and allowed to sign documents. Why give this legitimization to Putin’s mercenaries?” Landsbergis wonders, adding that the same line was agreed on in ceasefire talks on 19 September 2014. Ukraine’s President Petro Poroshenko, asked to comment on the constitutional reform outlined in the agreement, noted that it would involve decentralization, not federalization. Landsbergis thinks, however, that these are words of the defeated party. ”These are talks of the defeated. First, the mercenaries should not have been allowed to sit in the talks. If countries negotiate and Russia is dictating the kind of constitutional reform they should have, then one can ask – where is your own constitutional reform, when are you starting to respect your constitution, Mr. Putin? Otherwise, shut up and don’t tell us about the constitution. We are a democratic country with a popularly elected parliament. I am an elected president, Poroshenko could say. Whereas you appointed yourself,” Landsbergis says. He adds he is disappointed with German Chancellor Merkel, who, he says, believed Putin’s ”puppet theatre”. This is how he sees Merkel’s statements that Putin had exerted pressure on the separatists to sign the agreement. ”She accepted the puppet theatre. What they did in the end was a puppet show. Perhaps everything followed stage instructions. Putin allegedly demands something of his groupies and they do not listen. He must put his fist down and they insist they will still be able to refuse. All sane people should realize this was but a silly show, but they take it seriously. Why sink to such a low level?” Landsbergis is indignant. During Thursday’s event at the Foreign Ministry, where Landsbergis presented his new book on 13 January 1991 events to foreign ambassadors, he insisted that Western powers should arm Ukraine. 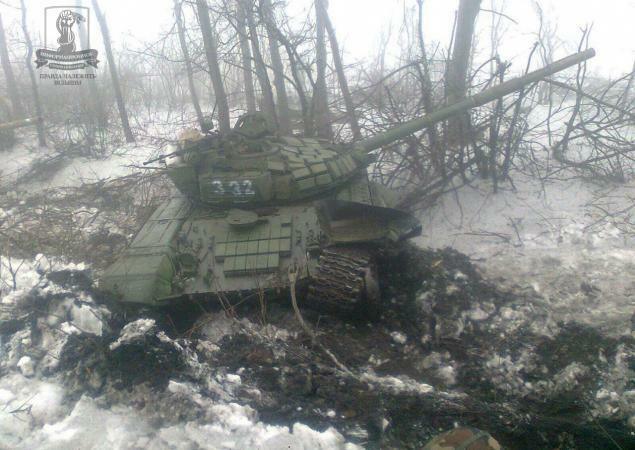 ”I still believe that the Ukrainians could be armed against Russian tanks. Otherwise it means that Ukraine has been sold out. It’s worse than Munich. We should discuss Munich today,” Landsbergis told the audience. The Lithuanian politician, who led Lithuania’s own liberation from the USSR efforts in the late 1980s and early 1990s, has said that Russia is telling blatant lies, which are nonetheless accepted as something worth discussing. ”This way, everything becomes partly true, partly false, but in fact it is utterly false, because it is a purposefully designed lie aimed at influencing our judgement. It is war on thinking,” he said. Landsbergis believes that there have been only a few moments when Russian leaders were told the truth. Once, US Secretary of State John Kerry told Russia’s Foreign Minister Sergey Lavrov that he couldn’t listen any more of what the latter was saying. ”Only one person, as far as I know from the media, Secretary of State John Kerry told Lavrov: It’s impossible to listen to you, Mr. Lavrov. It was reported, though I wasn’t there and no one recorded it. But it was reported that Kerry couldn’t listen to what the Russians were saying. In normal parlance that means: Go to hell, liar,” according to Landsbergis. ”President Barack Obama, too, once said he had nothing to talk about with Putin. However, they [Russians] manage to force Western leaders into talking not just with them, but also with the bandits from Donetsk,” he added. According to Landsbergis, Russia has declared war on the Western civilization. Boko Haram is the name of a terrorist Islamist movement based in northeast Nigeria. The name in Arabic means ”Western education is forbidden”. ”However, Western leaders have their excuse: we do not want war. But war is on, lady. Yet she sees nothing wrong in Ukrainians being killed,” Landsbergis said. He insisted that Western Europeans were not unaffected by the conflict, reminding that the Russian-supported separatists downed a passenger plain over eastern Ukraine, killing 298 people, mostly from the Netherlands. Staunton, February 14 – Despite his success in intimidating some European governments into inaction or even willingness to come to terms with the results of his aggression, Vladimir Putin in fact is having to cope with an ever-shrinking Russia world as his insistence on Minsk as a venue for talks about Ukraine shows. Indeed, had European leaders understood that the Kremlin leader could hardly tolerate talks anywhere else, they would have been in a far better position to make more demands not only of Putin concerning Ukraine but also of Alyaksandr Lukashenka, their official “host” in the Minsk talks. In a comment for the Charter 97 web site, Iryna Khalip, a Belarusian journalist who writes regularly for Moscow’s Novaya Gazeta, says that Putin needed his meeting with the German chancellor and the French president to be in Minsk “and not in any other place in the world” for three reasons. First of all, she says, Putin chose Belarus because it is one of the few places outside of Russia where he feels himself to be “the master.” That is not the case in Kazakhstan, and the Kremlin leader isn’t inclined to travel beyond the borders of his Eurasian Economic Community whose rulers defer to him most of the time. Second, Belarus was about the only place where the Donbass separatists “could feel themselves safe” and where they would “not only not be arrested but would be able to sit at one table with the adults.” That gave them the status Putin wanted them to have, and just their being at the same talks was “sufficient” for his purposes. And third, “by insisting on Minsk as the site of the meeting, Vladimir Putin reduced to nil all the declarations of the leaders of the EU countries made after the mass arrests” in Belarus in December 2010. At that time, they said that any high level contacts between the EU and Belarus were impossible. Despite those declarations, Angela Merkel and Francois Hollande came to Minsk, where they were hosted by the author of those arrests, Alyaksandr Lukashenka, and said nothing about the freezing of former presidential candidate Mikola Statkevich or anyone else. He remains in prison. Had the Europeans insisted, Putin would have convinced Lukashenka to release him. Khalip then addresses the larger problems of this venue as a summit. Summit meetings, she points out, are not occasions for negotiations but rather “the last stage” in such a process. But Merkel and Hollande acted otherwise and that gave Putin the opportunity to “wrap them around his little finger” and get what he wanted out of the session without yielding anything in return. “The difference between Merkel and Hollande, on the one hand, and Putin and Lukashenka on the other is that the latter two not once for many years has kept his word,” Khalip writes. The Europeans are accustomed to the idea that promises will be kept, while Putin and Lukashenka assume that promises are made for anything but that. And the Europeans, or at least Merkel and Hollande, suffer from another problem as well: they can’t afford to take part in a meeting after which they would have to say to their electors at home: “forgive us, we weren’t able” to reach an agreement. That means they need to know going into a meeting what will be agreed to or they will be manipulated. This need also means that the Europeans do not always understand what the meeting is about or what the other side wants. 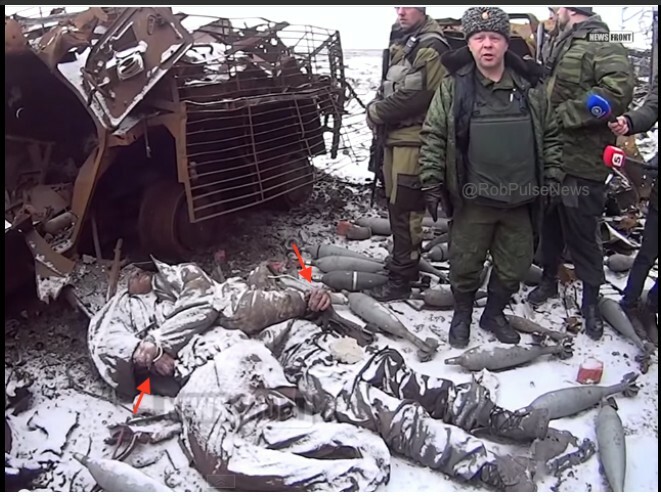 Putin knew what he wanted at Minsk and it was not about the Donbass. He had much bigger goals in mind, including the end of sanctions, an end to his isolation, and a reaffirmation of his role in Belarus. “In what Vladimir Putin may see as an additional benefit and others as collateral damage, the Minsk accords have deepened splits within the European Union, with European Parliament Vice President Ryszard Czarnecki saying that the German and French leaders “sacrificed” Ukraine at Munich for the economic interests of their own countries. German Chancellor Angela Merkel and French President Francois Hollande, “without the participation of the EU and promoting the economic interests of their own countries, have sacrificed Ukraine,” Czarnecki says, legitimating Russia’s “achievements” and creating a world more beneficial to Moscow than to Kyiv. In other comments, the Polish and European politician says that it is unfortunately the case that some European countries “would like to have peace at any price,” something they may have achieved in the short run by their concessions at Minsk but not something that is likely to last for long. On the one hand, Czarnecki says, the pro-Moscow militants in southeastern Ukraine with continuing Russian backing are likely to try to seize even more territory and undermine Ukrainian statehood. And on the other, Kyiv will have no choice but to try to block them whatever the Minsk accords say. This is a statement from Myroslav Marynovich, founder of Amnesty International Ukraine, a founding member of the Ukrainian Helsinki Group, and President of the Ukrainian PEN Club. He was arrested on April 23 1977 and he was sentenced to seven years’ hard labour and five years in exile. The same year Amnesty International adopted him as a prisoner of conscience. He spent a decade in the Soviet GULAG camps in Kazakhstan, and he has issued the statement below about how Ukrainians feel about what is happening to them now. “What can Ukraine expect from the West now? I write to you as a former prisoner of conscience of the Brezhnev era. All other titles are rapidly losing sense in the light of the bleeding Ukrainian Maidan. All my life I admired Western civilization as the realm of values. Now I am close to rephrasing Byron’s words: “Frailty, thy name is Europe!” The strength of bitterness here is matched by the strength of our love for Europe. If it still concerns anybody in decision-making circles, I may answer the question in the title. First and foremost, stop “expressing deep concern”. All protestors on the Maidan have an allergy to this by now in these circumstances senseless phrase, while all gangsters in the Ukrainian governmental gang enjoy mocking the helplessness of the EU. Take sanctions. Don’t waste time in searching for their Achilles’ heel: it is the money deposited in your banks. Execute your own laws and stop money laundering. The Europe we want to be part of can never degrade the absolute value of human lives in favor of an absolute importance of money. Also cancel Western visas for all governmental gangsters and their families. It is a scandal that ordinary Ukrainians living their simple lives have to provide their ancestors’ family trees to obtain a visa while ruling criminals guilty of murder, “disappearances”, and fraud in the eyes of the whole world enjoy virtually free-entry status in Europe. 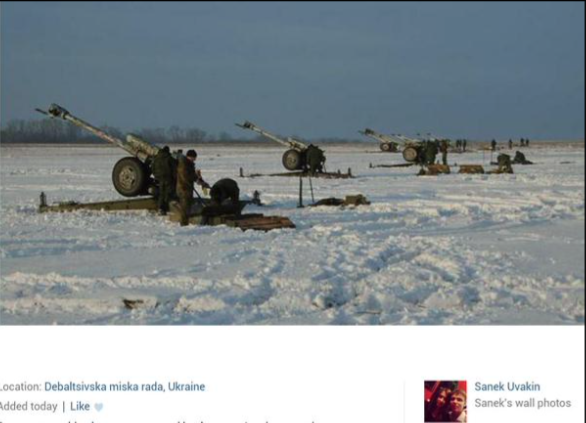 Do not listen to Yanukovych’s and Putin’s propagandistic sirens. Just put cotton in your ears. Be able to decode their lie; otherwise they will decode your ability to defend yourself. Instead, listen to Ukrainian media sacrificing their journalists’ lives to get truthful information. Do not rely so much upon the information provided by your special correspondents in other countries who come to Ukraine for a day or two. Hire Ukrainians who live in this country to translate the Ukrainian cry of pain. Secure money for that right now instead of waiting for funds from next year’s budget. Come to Ukrainian hospitals and talk to so-called “extremists” who want to “subvert the legitimately elected government,” those who have “cruelly beaten” policemen and “deliberately” blasted explosives to wound themselves. Go out of your zone of comfort! Just recall the coddled ancient Romans who refused to do that in time. Cajoling Putin won’t bring you security. Letting him take control over Ukraine could make the world peace even more vulnerable. A Ukraine divided by force won’t bring the world peace, just as a Poland and Germany divided by force didn’t bring peace to the world. 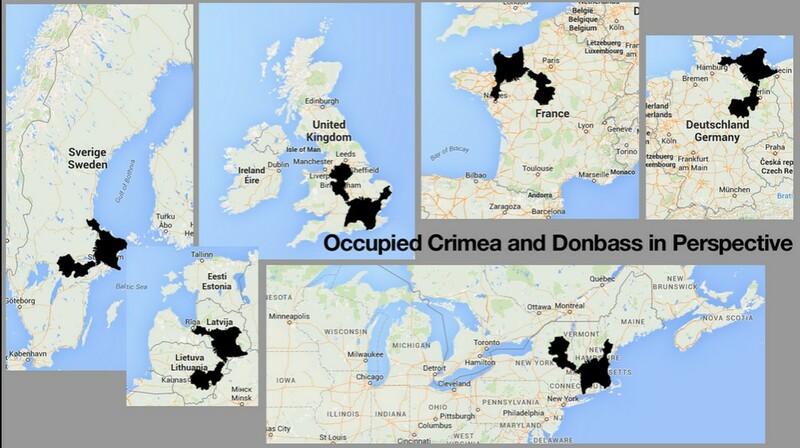 Russian propagandists dream about holding the May 9 parade in Europe. A story of a Russian TV channel on February 10 was posted on the Internet. It tells that Russian troops can reach Warsaw within 24 hours and then “visit” Berlin, Prague, Vilnius, Tallinn, Riga and, finally, London. I think I stop here, for now.